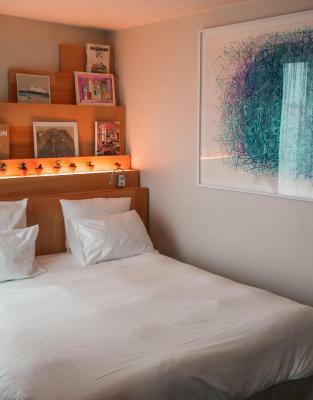 Lock in a great price for Le Citizen Hotel – rated 8.9 by recent guests! 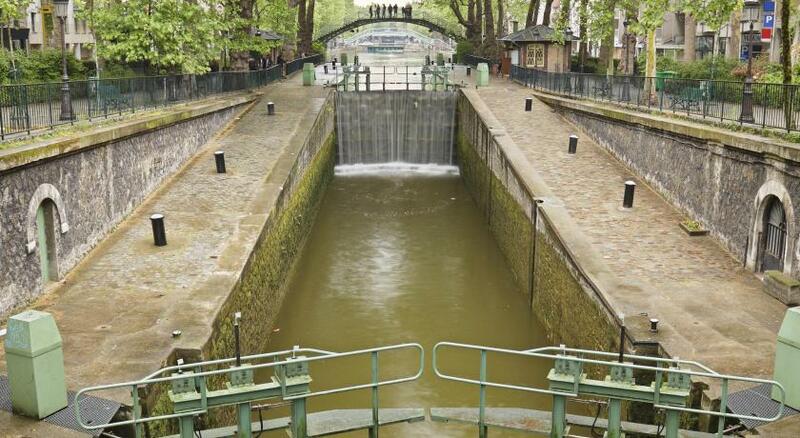 Great location right on the Saint Martin Canal. 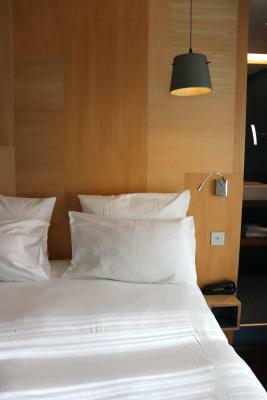 The hotel is perfectly decorated with comfortable beds and linens. The food is delicious and breakfast is included in the price. The owner Sophie, bartender Antione and entire staff were so welcoming, helpful and fun! They had a djay Fri night with nice French touch tunes which was a fun surprise. The room was a little small and a bit noisy Fri night but both were expected for a weekend night hotel in the heart of the Saint Martin Canal. Stay here, you will love it! We just booked 3 more nights because we love it so much! The bed was very comfortable but took up too much room. Shower was great. 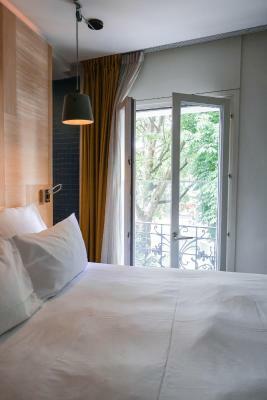 Staying at Le Citizen was a wonderful experience. We arrived early in the morning and were surprised to find that our room was ready for us, which was a big relief. The staff went above and beyond to be accommodating to us and to our family. The price may seem a little bit higher than at other hotels, but they do such a good job that it is well worth it. 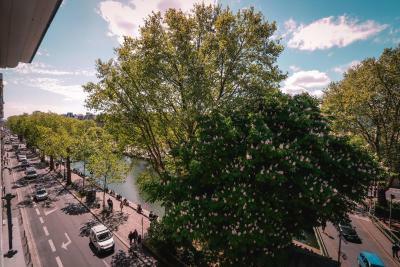 On top of that, the view of the canal is lovely and we enjoyed staying in this area of Paris, which we had not stayed in before (the Saturday market down at the Bastille was fun). I can't recommend it enough! People that are working there are very nice and helpful, you can always find someone at any time. Rooms are clean. Rooms are also decorated and finished nicely (despite how small ours was!). Everything was comfortable, despite being a tight fit. They have a very great breakfast. 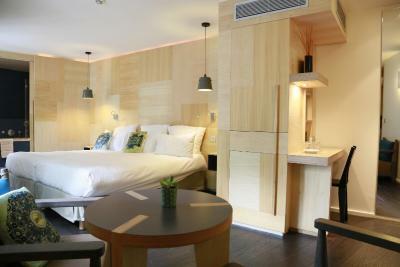 Nicely decorated rooms, with the wood panels. Certainly not standard, the room feels cosy. 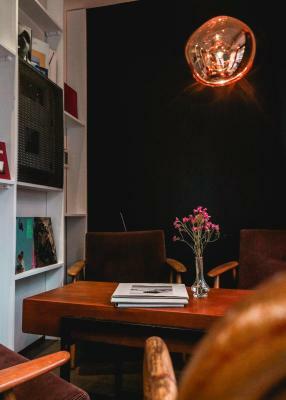 View on canal and surrounding streets gives the room a real urban feeling. Tasty Home Made cereal at Breakfast. 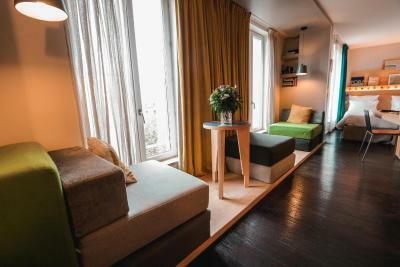 I loved the attention to detail (comfy beds, great view of the canal, delicious tea in the bedroom and comfy sofa with beautiful coffee table books). The staff were wonderful and the breakfast delicious. We enjoyed staying be the canal and getting excited at the canal bridge opening to let boats through! The location was great for day time activities and endless shopping and eating possibilities. The owner is super helpful and on hand most of the time, complimentary breakfast was lovely and her young staff were very pleasant to deal with. We enjoyed one night in a suite which is really just a good sized room and three nights in a ‘standard’ room. Lovely friendly staff, good location lots of quaint bars and restaurants! Breakfast excellent, as well as buffet you could order anything from main breakfast menu, without additional charge. 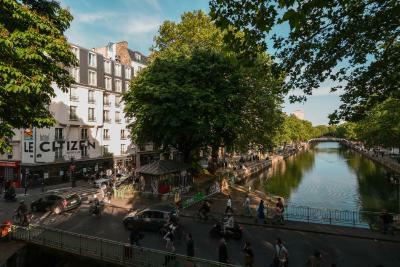 Set in Paris’s 10th district, near Place de la Republique, Le Citizen offers modern-designed accommodations with free WiFi and views of Saint-Martin Canal. All guest rooms have private bathroom and flat-screen satellite TV with free films and on-demand videos. 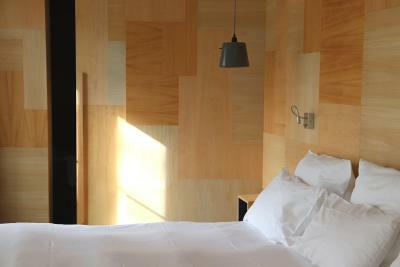 All the rooms and suites are decorated with modern wooden paneling. 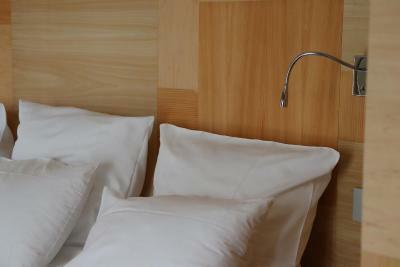 They are equipped with a laptop safe and a mini-bar at an extra cost. Guests have free access to an iPad, which includes a guide of the surrounding area, upon request. Tea and coffee facilities are featured in all rooms. A homemade breakfast including pastries, bread, fruit juice and hot drinks, as well as dishes available on special request such as French toast and pancakes, is served each morning. 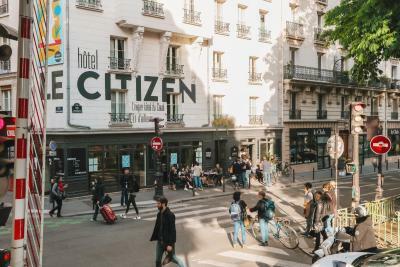 The hotel Le Citizen is a 5-minute walk from Jacques Bonsergent Metro Station, and a 10-minute walk from Republique Metro Station. 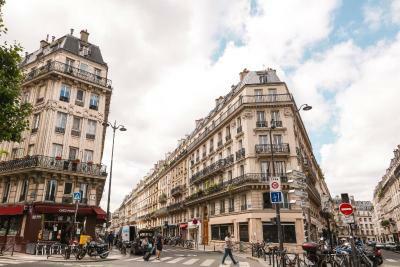 These transports lead directly to Place de la Bastille, The Champs-Elysées and Gare de l’Est Train Station. 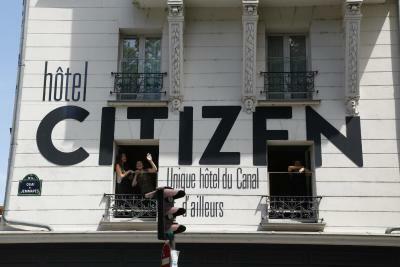 When would you like to stay at Le Citizen Hotel? This bright room has 3 large windows overlooking the canal. This room cannot accommodate an extra bed. This spacious room is air conditioned and has a large working area. It also features a bathtub. This room cannot accommodate an extra bed. The suite is air-conditioned a has a sitting area with a beautiful view of the canal. Bathrobes and slippers are provided. 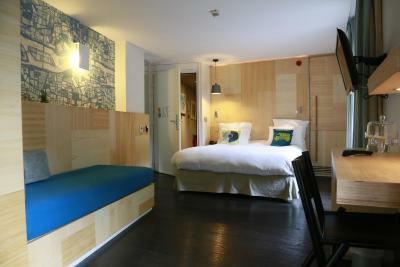 This room can accommodate 2 extra beds at an extra cost (see Hotel Policies). 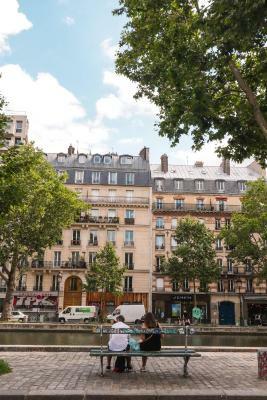 The apartment has a sitting area overlooking the canal. 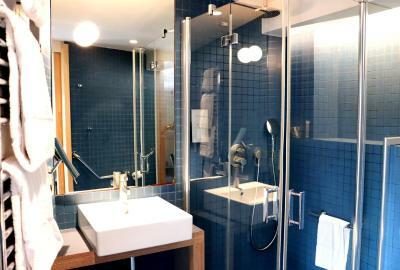 It features 2 bathrooms with 2 bathrobes and 2 flat-screen satellite TVs. 2 iPads are available upon request. This room cannot accommodate an extra bed. This spacious room has a large working area. 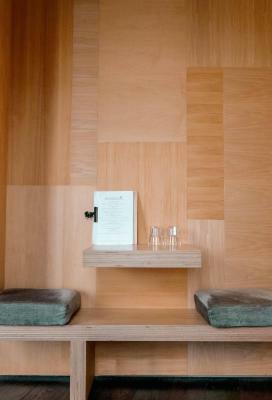 It is also equipped for guests with reduced mobility. This room cannot accommodate an extra bed. 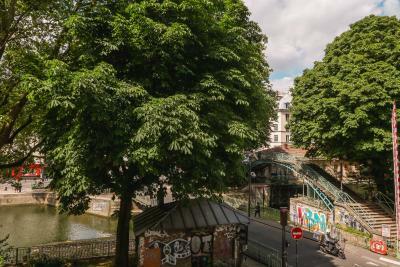 Hotel surroundings – This neighborhood is a great choice for travelers interested in sightseeing, monuments and museums – Check location Excellent location – show map Guests loved walking around the neighborhood! 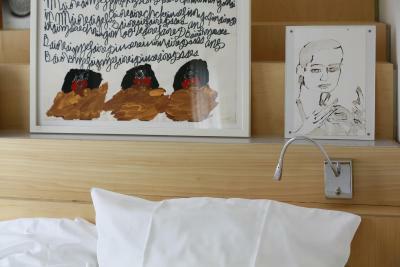 House Rules Le Citizen Hotel takes special requests – add in the next step! Le Citizen Hotel accepts these cards and reserves the right to temporarily hold an amount prior to arrival. it's noisy as the canal du st martin is a popular & lively area, but the hotel do provide earplugs which made a big difference. the cost was a little more than we would usually pay for a hotel, but again that's a lot to do with the great area - we'd definitely stay again! The ‘standard’ room size is diminutive and honestly doesn’t work for a couple that well. Especially if you’re travelling with more than a small case, which we were. The windows needed to be open to enjoy any fresh air as there was no air conditioning, it was unusually warm for September and the street noise at night was considerable even on the fourth floor. They do offer earplugs but this is more an admission of the problem rather than a satisfactory solution. I realise space is at a premium in Parisian hotels but this was somewhat challenging for two people for more than a brief stay. A bit noisy from the sound of people in a busy area below our window on the Friday but the next night was fine. Suggest having a sheet that can be used in hot weather (not just the duvet). Air con wasn't giving out much cool air - it was a particularly hot eve. We still enjoyed our stay. 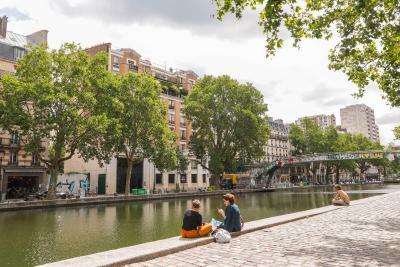 A great location by Canal Saint Martin and cafes and bars were really good in the local area. Comfortable, relaxing stay with a delicious breakfast. A nice feel to the breakfast area (that is a bar in the evening). 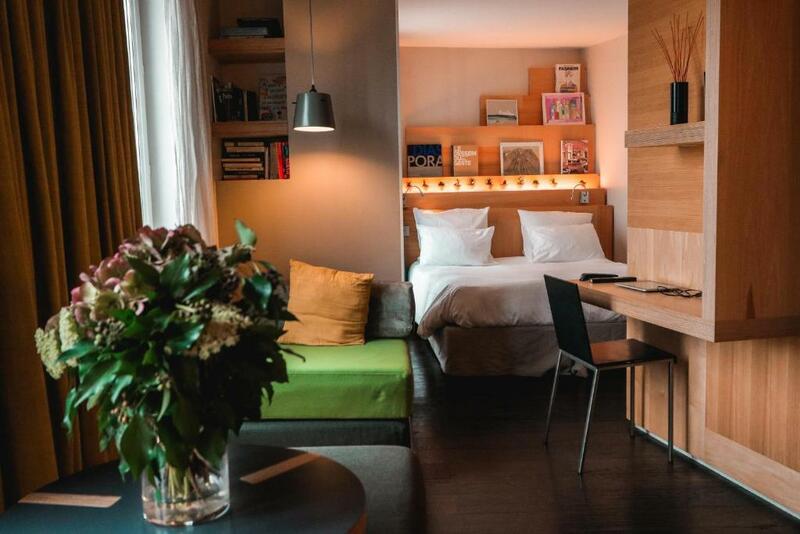 Rooms are tiny for that price, but I think it’s typical for Paris. It’s a little bit noisy, but again it could be the specific of location. In our bathroom water was always coming from nowhere all over the floor, we were not able to identify how it was happening. Front door always locked, room smelled bad, room and bathroom needed redecorating as was clearly a ‘hip’ hotel about ten years ago. Arrived to check in amongst dirty plates of Japanese food served right in the reception. Good location, nice staff. Small but nicely appointed room. 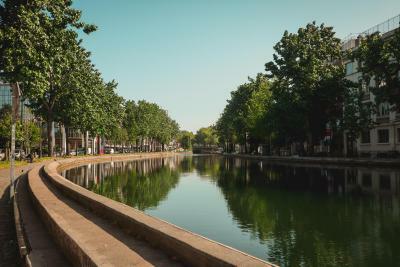 Nice canal view. Good breakfast. Excellent location, really friendly helpful staff, comfortable stylish room.